"I enjoy playing a vital role in in the financial growth of DELTA |v|." Laurie Bond is the DELTA |v| Accounting Team Leader. She has been with the firm since 2015. Laurie loves her job and is impressed by the talent of her DELTA |v| coworkers. She enjoys guiding her team, clients, and engineers through the complex world of accounting, making everyone’s jobs a little easier. 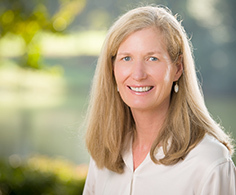 Laurie received her Bachelor’s degree in Economics from the University of Virginia and her MBA from Queens University of Charlotte. Before moving to Charlotte, Laurie worked in international trade and finance. When not in the office, Laurie spends her time giving back to the Charlotte community. Her heart for service shines through via her volunteer work with local nonprofits in the areas of health, education and the arts.